The play call was "Ice," and for a split-second, Sayville sophomore attack Ashton Bradley froze. "The ball was a little high and I was nervous I wouldn't catch it," Bradley said of the pass he took from Matt Selts, who started the play behind the cage with a dodge to his left. "My man slid; I followed him just like Coach said. Matt fed it and I went for the far side and just shot it." Bradley scored 2:56 into overtime to give No. 5 Sayville a stunning 12-11 victory over host No. 1 Shoreham-Wading River Thursday in a Suffolk B semifinal. 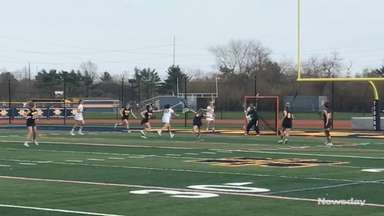 "We got the ball and Coach said 'Go behind' and find whoever is open," said Selts, the Marist-bound senior who scored three goals. "People slid to me and Ashton was wide open." Bradley said it was the first overtime game-winner he'd ever scored, and it capped a thrilling game that featured four ties and comebacks by both teams. Jack Coan, the sophomore quarterback prospect who Wednesday night performed a private throwing session for Penn State and Virginia, scored four goals and helped Sayville overcome an early 3-0 deficit. Goalie Joey Sichenzia made 17 saves, many from point-blank range. 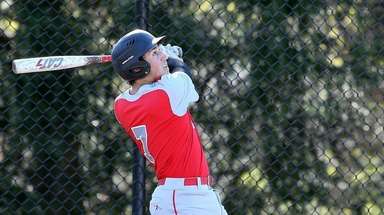 The Golden Flashes (12-5) will face Mount Sinai in the Suffolk B final at 8 p.m. Wednesday at Stony Brook. Shoreham-Wading River (15-2), which saw its winning streak end at 12 games, got four goals from its own sophomore star, Chris Gray, plus three from junior Jason Curran and two from Danny Hughes. 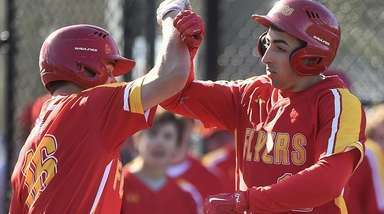 The Wildcats overcame an 11-9 deficit in dramatic fashion. 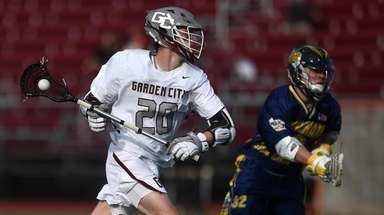 Gray took a feed from Ryan Bray with 2:06 left to make it 11-10 and Bray scored from outside on a pass from Hughes with 29 seconds left to force overtime. SWR faceoff whiz Steven Weindler won the draw to start the extra period and the Wildcats quickly gained a one-minute man-up opportunity on a slashing penalty. That's when Sichenzia stood tall. He stopped Curran from in close and the Golden Flashes gained possession, cleared the ball and killed the rest of the penalty. "I just knew I had to make the save," Sichenzia said. "I went up and jumped. It got me in the chest and the helmet. They had the momentum in overtime, but if you stop them man-up, it kills momentum." Sichenzia's acrobatics immediately brought Sayville to life. "Joe was unbelievable the whole day," Coan said. "That save sparked us. I was confident we would come down and score. Matt made a sick feed and Ashton stepped up." 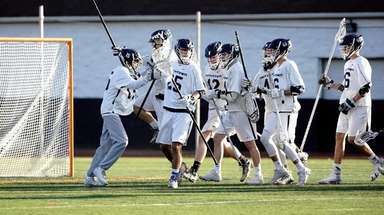 Shoreham-Wading River had crushed Sayville in their regular-season game, 14-5, making Thursday's victory sweet as well as dramatic. Said Coan, "We wanted payback."